What's the difference between ink feathering, bleeding and ghosting? 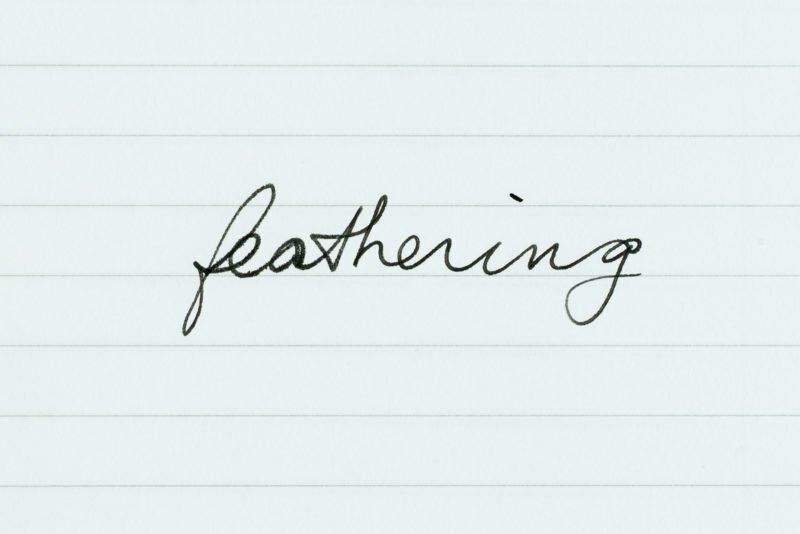 You may have heard the terms “feathering”, “bleeding”, and “ghosting” before and wondered what they meant. They all refer to how ink interacts with paper. Of course, you’ll probably remember that with fountain pens there are three things that matter: the pen you use, the ink you use, and the paper you use. So while feathering, bleeding, and ghosting all have to do with paper and ink, does the pen you use matter at all? In this article I’ll talk about the difference between ink feathering, bleeding and ghosting and how you can minimize each one. 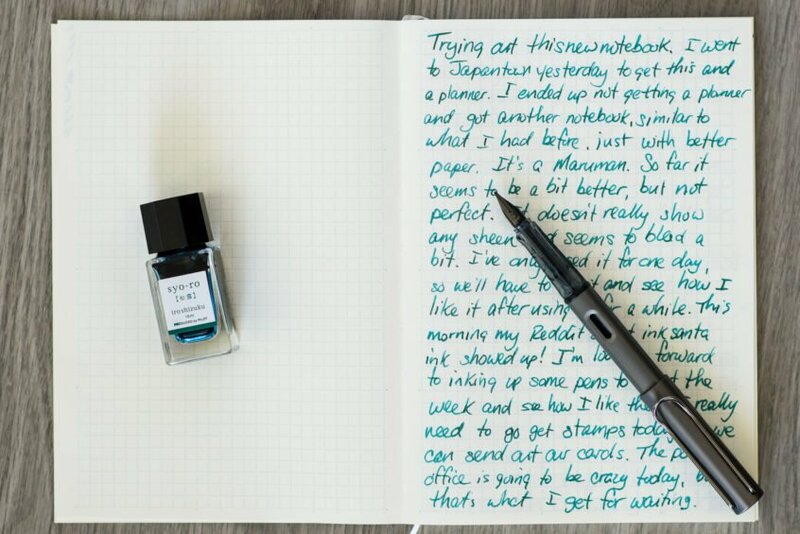 At the heart of writing with a fountain pen, you’re going to have the pen, some ink and a piece of paper. Every pen will have a different nib, which will allow a certain amount of ink to flow onto the paper. All inks are formulated differently, which means some are more saturated or take longer to dry than others. Paper also has a variety of variables, with the main differences being paper thickness and fiber size. All of these factor into how an ink and paper interact. Ideally, ink will go onto paper without any feathering, bleeding or ghosting. Of course, this isn’t always the case. To see why, let’s go into a bit more detail about what each of these problems are and what causes them. While paper is the main culprit in feathering, it is not the only factor. The nib you use can also play a big role in ink feathering. A juicy, wet nib that lays down a lot of ink has a higher chance of feathering than a dry, fine nib. The ink also factors into feathering. 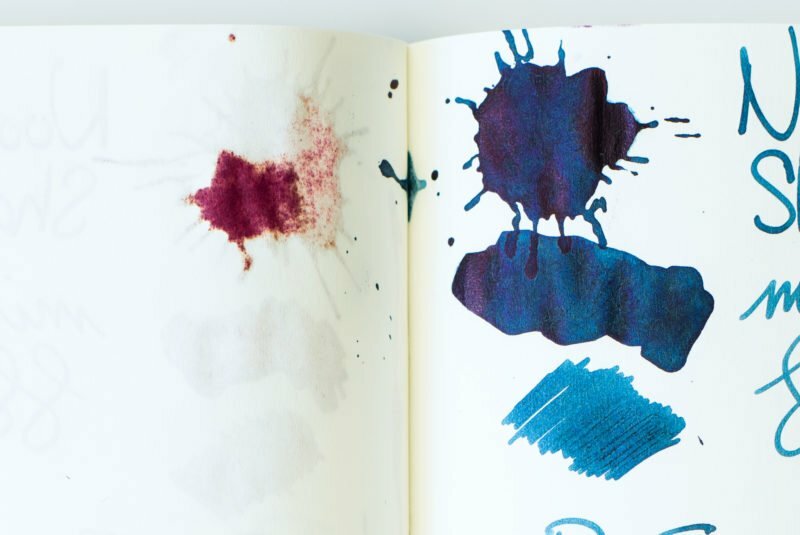 Some inks are wetter than others, which causes them to feather more readily than other inks. 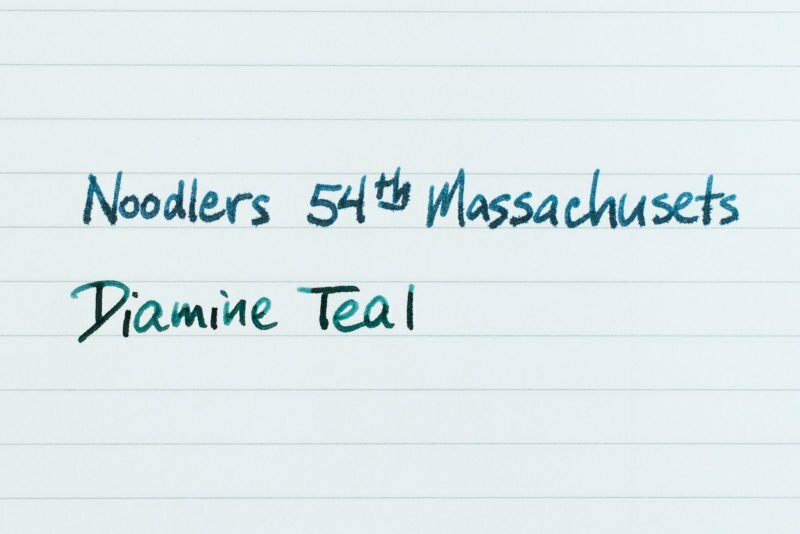 The Noodlers ink feathered on this paper, while the Diamine did not. To avoid ink feathering, the main thing you’ll want to do is use fountain-pen friendly paper. Of course, you’ll still want to make sure to pay attention to the pens and inks that you use. You may find that certain combinations are more likely to feather than others. By realizing which combinations are potentially troublesome, you can either stop using them or only use them with particular papers that you know they work on. One thing you should know about feathering is that it can sometimes happen in unexpected places on paper that doesn’t normally feather. We’ve probably all experienced random feathering on paper that has never feathered before. If this has happened to you, chances are it was caused by oils from your skin on the paper. If you want to see for yourself how this happens, try this little experiment. Rub your finger across your nose, forehead or other part of your body with a bit of oil on it. Now touch your finger to a piece of paper. 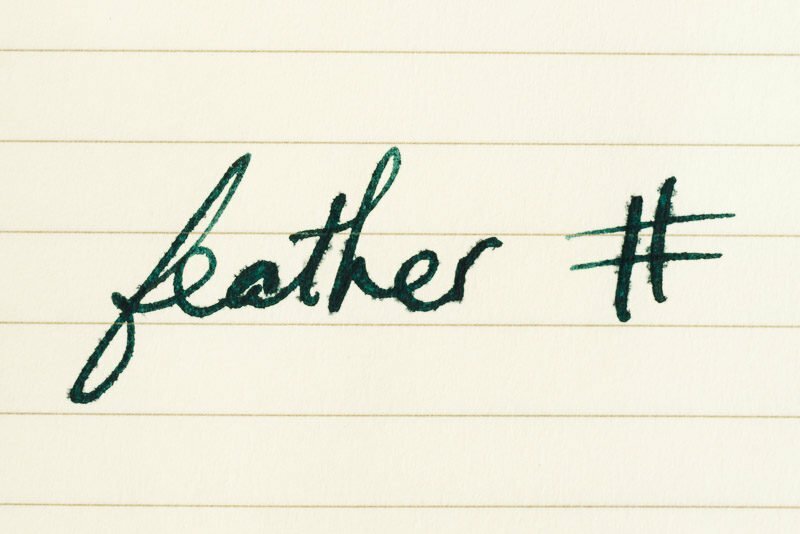 When you write across the bit of paper you touched, there is a good chance the ink will feather in that particular spot! To prevent this from happening while you’re writing, you can put another piece of paper between your hand and the paper you’re writing on, which should protect it from the oils on your skin. You can see the feathering at the beginning of this word, which is where my skin oil was. Bleeding occurs when ink soaks through a piece of paper to the other side. This is a problem because you might not be able to write on both sides of a piece of paper if it bleeds too much. It also means that ink might soak through onto the next piece of paper or even the surface you’re writing on! You can see the ink actually bled through this page to the other side. As with feathering, the pen, ink and paper you use can all influence whether your writing will bleed or not. While using a high quality paper will decrease the chances of it happening, the pen and ink that you use will also affect bleeding. 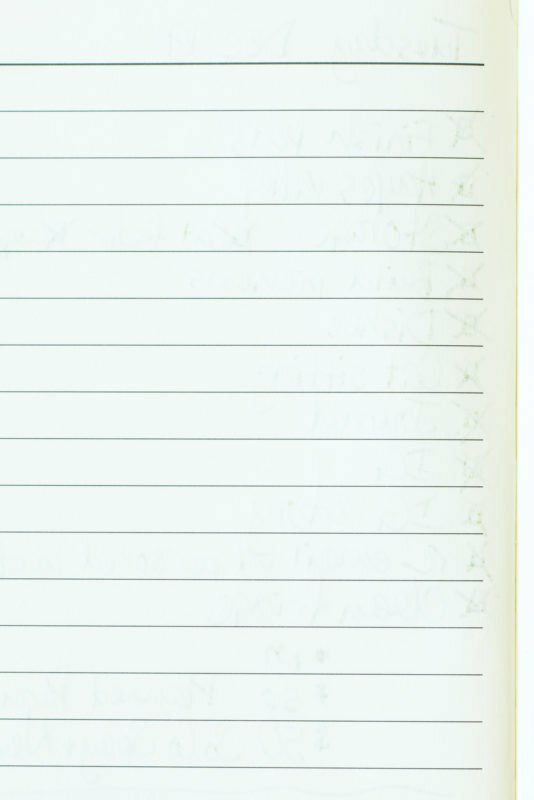 In my personal ink journal (which uses Tomoe River paper), I don’t see any ink bleeding through to the other side with normal writing, but do notice it with many highly-saturated inks when I do an ink splat. While this is more ink than any pen will ever put down onto paper, it should demonstrate that even papers that don’t typically bleed are not 100% bleed-proof. The red on the left page is ink that has actually soaked through from the other side. Even if you’re familiar with ink feathering and bleeding, ink ghosting might be a term you haven’t heard before. 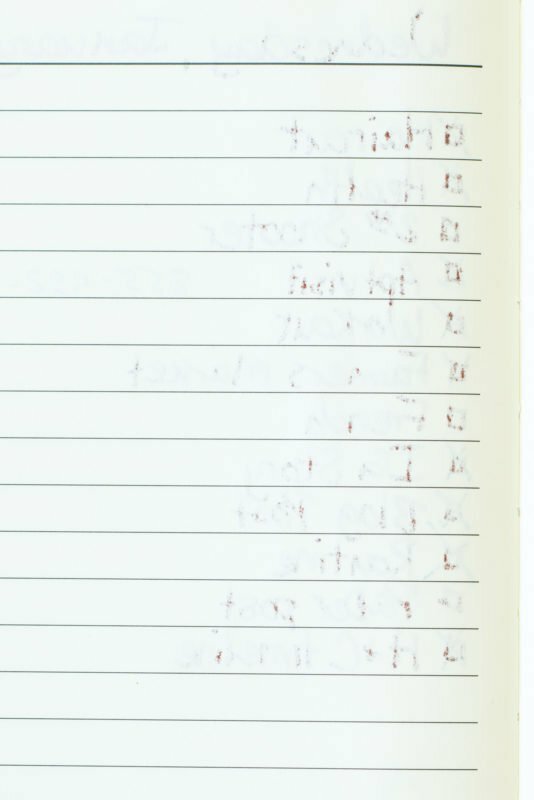 Ghosting occurs when you can see the writing on one side of the paper from the other side. It doesn’t mean that the ink has actually bled through to the other side. It simply means you can see it. 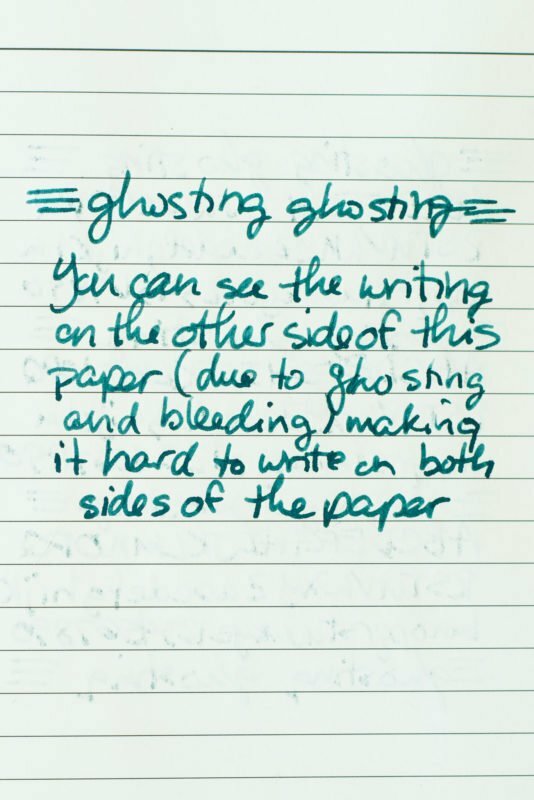 Ghosting can be an issue if you like writing on both sides of a piece of paper. 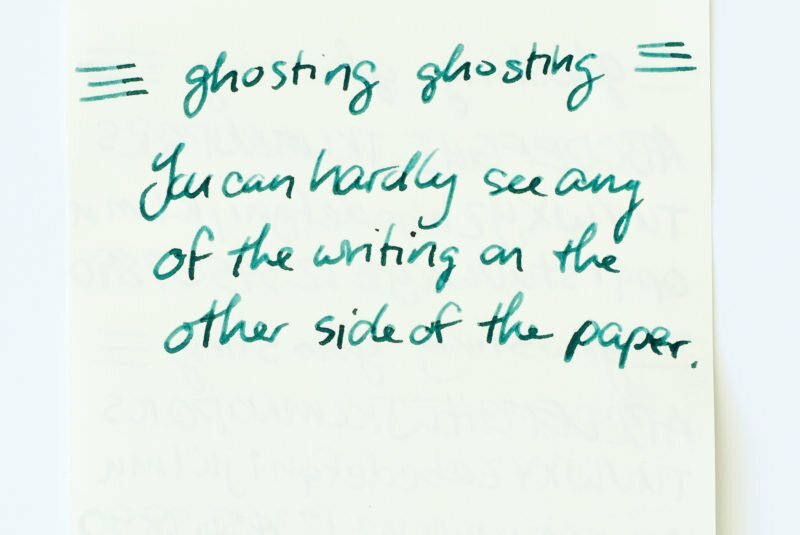 Excessive ghosting can make writing hard to read, since the writing on one side of a piece of paper can interfere with the writing on the other side. This paper has very light ghosting. The writing on the other side does not interfere with the writing you see. This paper has very heavy ghosting (and even a bit of bleeding). The writing on the other side does interfere with the writing you see. As you’ve probably guessed by now, the combination of pen, ink and paper all influence whether or not ghosting will occur. While paper quality has a big impact on whether or not an ink will feather or bleed, paper thickness plays a big role in ghosting. Tomoe River 52gsm paper is a very high quality paper that rarely feathers or bleeds, but it is more prone to ghosting simply because it is so thin. Of course, paper thickness is not the only factor that influences ghosting. 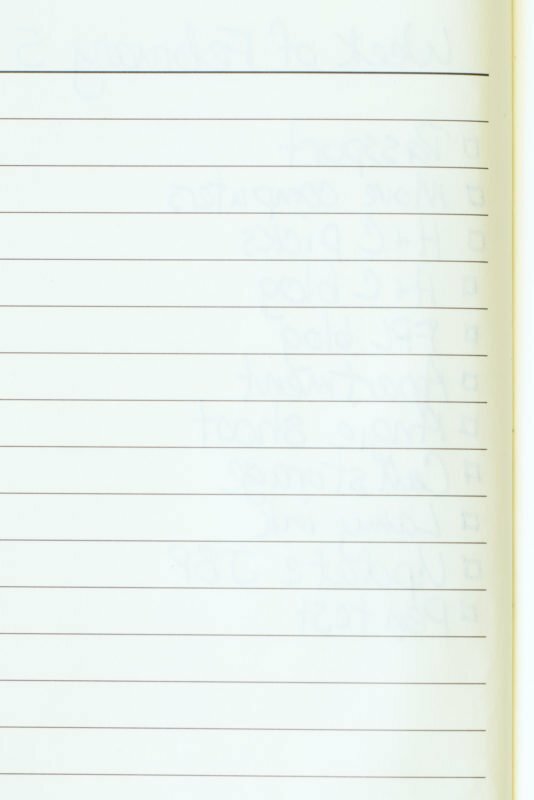 Take a look at these pages from my notebook where I write my daily to-do lists. While it’s all the same paper, you can see that different pen and ink combinations all interact with it differently and have different amounts of ghosting. This is also the same paper that you can see the back of in the bleeding section. This ink/pen combination tends to have medium ghosting in my journal. This ink/pen combination tends to have light ghosting in my journal. The good news is that there are many different pen, ink, and paper combinations out there that will allow you to write without any feathering, bleeding, or ghosting. The bad news is that finding the combinations that work for you might take a little experimenting. But is it really bad news? Most of us enjoy using fountain pens as more than just utilitarian writing instruments. Finding combinations of pen, ink, and paper that not only don’t write poorly but also work exceptionally well is part of the fun! If you’ve experienced feathering with a particular ink, try it with a new pen and see what happens. If you find one pen and ink combination tends to bleed through one type of paper, try another type of paper. If you get heavy ghosting while writing to your pen pals, the solution might be as simple as using a different ink. Interesting re. the skin oil! Isn’t it? I don’t remember where I first heard about it, but once I tried it for myself I finally knew why my paper had been randomly feathering! Nice article! I’m searching for ink unfriendly paper. I enjoy sketching in ink on newsprint which feathers, bleeds, and ghosts horribly (or beautifully if you’re me). But the paper is not archival and turns yellow. Any recommendations for blank, terrible paper? Do you have any examples of your sketches online? I’m curious to see what they look like!